Did you just get a set of e-readers? Or do you want to get your students to read more deeply with the e-readers you already have? 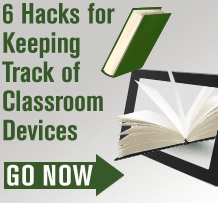 Here are 10 ways to use e-readers to maximize student engagement (and reading growth). Kyle Redford, a fifth-grade teacher at Marin Country Day School, can tell when her students are fully engaged in their books. They’re curled over screens, swiping page after page—some have earbuds tucked in their ears. Even as her classroom buzzes with energy, the students are completely focused on what they’re reading, oblivious to what’s going on around them. It’s not surprising to teachers that e-readers are a hit with students. One study found that students’ attitudes about reading improved after using e-readers. And, as Redford discovered, e-readers have proven engaging with reluctant readers. When students read books on e-readers, their core reading skills are unchanged—their decoding and fluency rates are essentially the same whether they read print or e-text, according to research by West Chester University researchers Heather Schugar, Justin Schugar and Carol Smith. And when Schugar and her colleagues studied college students’ reading habits, they found that their students read every e-book like a “beach read.” They didn’t apply study skills to help them learn from their reading. But teaching our students how to read digital text with the same depth as paper books will prepare them to take advantage of all that e-readers have to offer. Whether you’re opening your first class set of e-readers or figuring out how to get your students to go deeper with the e-reading they’re already doing, here are 10 ways to maximize student engagement with e-text. Building a digital library is just as important as stocking your classroom shelves. E-readers offer a comfortable way for students to read books that they might not pull off of a classroom shelf, either because the books seem too difficult or too easy or they aren’t popular. 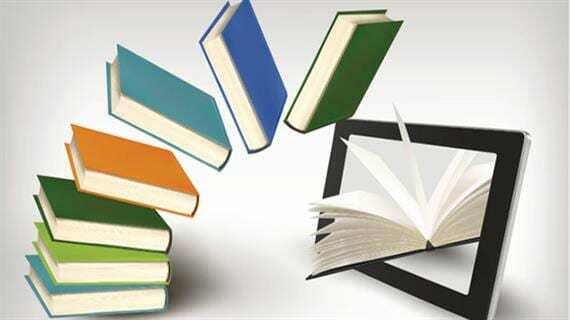 E-readers offer students a huge boost: Students can carry an entire library of e-books under their arms, see interactive features bring text to life and collaborate with other readers in real time. Discuss with students how the e-reader enables them to expand their reach and depth as readers, and they’ll see it as more than just a gadget. Just like when they’re reading print books, students should have their own e-readers. Even if students are reading in small groups, resist the temptation to have them share. With their own e-readers, students can fully engage, and you can easily see how they’re interacting with the device as well as the text. Students may need help transferring what they do with print to an e-book, so show students how to apply reading strategies, such as using inference, to screen text. Monica Evon, fourth-grade teacher and literacy facilitator at Bellevue Elementary in Bellevue, Nebraska, teaches in a one-to-one classroom. She displays each week’s read-aloud and also lets students open the text on their devices. This shared reading experience provides students with multiple ways to engage with the text while Evon models reading aloud. When Lori Union, Gwinnett County Public Schools technology coordinator, and Craig Union, educational technology advocate, in Gwinnett County, Georgia, introduced a class of third graders to e-readers, they made sure students knew why they were reading. It wasn’t because they had new e-readers—they were reading to expand their vocabulary or to learn something new. This purposeful reading built students’ stamina and required them to read deeply. Many e-books come with animations and game-like interactive features. Sure, they may talk or make noise, but they can also enhance comprehension. For example, in Wild About Books by Judy Sierra, students click on a group of animals that run together across the page to help define the word “stampeding.” Students still have to infer that “stampede” means to move together, and they’re using media skills with the text to make the inference. E-readers, connected to the Internet, enable students to see which lines or sections in the book resonate with other readers, and they can immediately share their thoughts. Create purposeful collaboration by posing questions for students who are in the same literature group to write about as they read. Then, students can see how others in their group are interacting with the text before they start discussion. When she introduced e-readers to a third-grade class, Lori Union had students start the year reading books at their level. The second half of the year, she let students read whatever text they wanted. This combination of structure and independent reading helps students learn how to use e-readers to build skills, to learn specific subjects, and for fun. It also enables them to get comfortable with reading to learn, and to read for fun, before they’re in a less structured reading environment. Evon’s students use a combination of e-sticky notes and highlighting to practice the comprehension skill of the week. For example, when they’re studying fact and opinion, they post sticky notes on the facts and opinions that they find. Annotation like this helps you see how students are interacting with the text and just how deeply students are reading. Students can achieve a deeper level of learning, says Evon, even without paper and pencil. So you’ve got a class set of e-readers. Now it’s time to figure out where to put them all. We reviewed all the ways teachers store these devices and found the top six most ingenious, cost-effective and space-saving solutions. One of them is bound to work for your classroom! 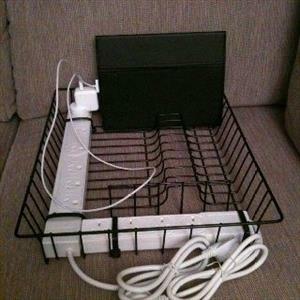 A dish rack and two power strips make an instant charging station. This solution keeps e-readers out of sight as they charge, and you can store additional materials, such as hard copies of books or student notebooks, with them. 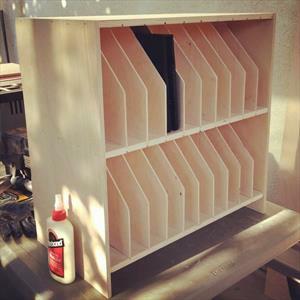 This wooden version of the magazine holder creates the perfect storage for e-readers. You could accomplish the same idea with individual cardboard magazine files. 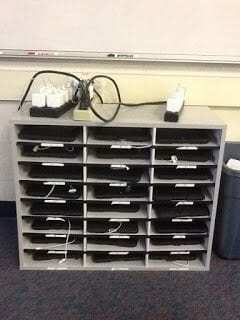 And if you used individual magazine files, students could take their box around the room with them as they work. 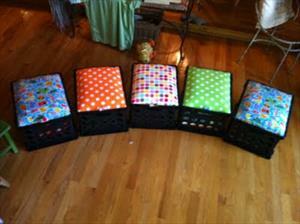 Add cushions to crates and students can store just about anything, including their e-readers. 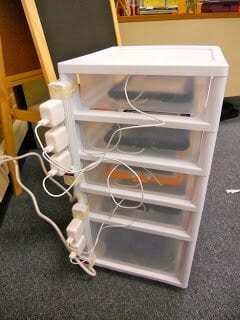 Just dedicate a space to store the crates that back up next to a power strip for charging. 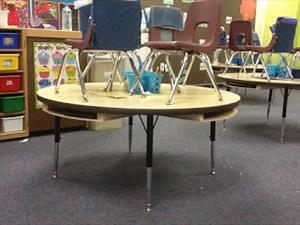 If you’re lacking storage, consider building an under-the-table solution like this kindergarten team did. Have old student mailboxes lying around? They could be the perfect e-reader storage. Pick of the Week: Classroom Jeopardy!